We spoke to optometrist Dr. Poonam Lakhani about all things eye health! Dr. Lakhani, what are some ways we can keep our eyes healthy? I always tell my patients to remember the SAD acronym, which stands for sun, aging, and diet. The “s” stands for sun, because you should always protect your eyes from direct sunlight exposure and UV rays by wearing sunglasses. The “a” is for aging, which causes changes to your vision and, sometimes, eye diseases like glaucoma, cataracts, or macular degeneration. Finally, the “d” is for diet, because a proper diet rich in lutein and zeaxanthin (found in leafy green veggies like kale and spinach) promotes healthy vision. What's the difference between an optician and an optometrist? 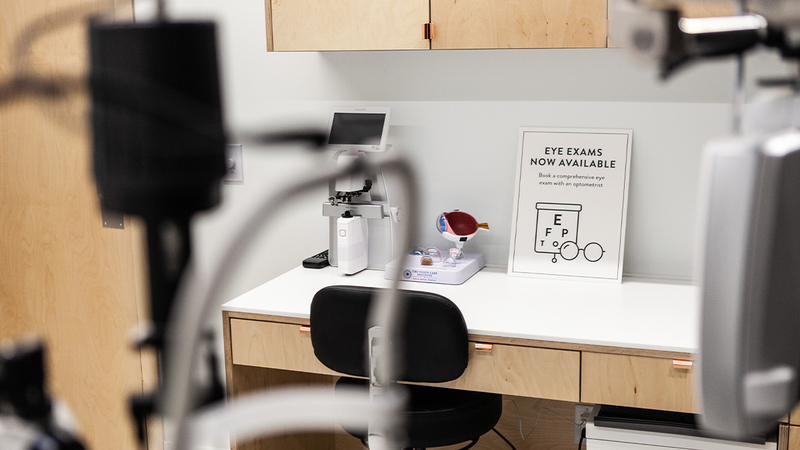 An optician is a graduate of an opticianry program and is trained to interpret an optometrist’s prescription for eyeglasses and contact lenses. Opticians know how to properly adjust and fit glasses according to your prescription and how to help patients choose the perfect frame for their face shape. On the other hand, an optometrist—like me—is a health care provider with a Doctor of Optometry (OD). 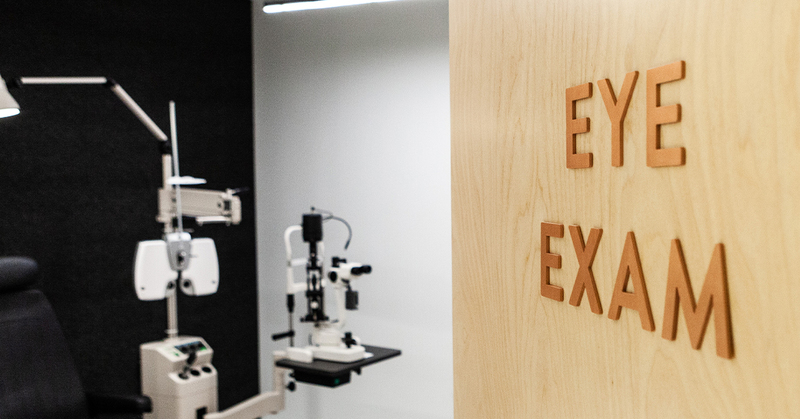 We’re trained to examine eye health, manage eye disease, and administer prescriptions for glasses. Additionally, we alongside ophthalmologists to provide pre- and post- operative care. Why did you decide to pursue a career in optometry? I chose this path because I wanted to help people, especially concerning their vision because I feel that our eyesight is a huge part of how we connect to one another. After my grandmother was diagnosed with macular degeneration, an eye disease that typically affects seniors and causes the gradual deterioration of one’s central vision, I was compelled to pursue optometry as a career. What does it mean if I’m nearsighted, farsighted, or have astigmatism? Nearsightedness, farsightedness, and astigmatism are three of the most common refractive errors (vision conditions that cause light to not focus correctly on the retina). When you’re nearsighted, it means you can see clearly from near distances but have a more difficult time making out far-off objects. If you’re farsighted, you can see far distances clearly but near objects appear blurry, impacting everyday tasks like reading, for example. Finally, astigmatism occurs when the eye is shaped like a football rather than a sphere, and this causes the light that enters the eye to scatter rather than focus to one point. Most of us have some degree of astigmatism in our eyes. Good news, though: these conditions are treatable with the right lens prescription, which we’re more than happy to help out with. What do you love most about being an optometrist? To find your perfect fit, try on different styles to help you decide what works best with your face shape and features. Or an optician or stylist for help! I also feel that having more than a single pair of glasses can be a fun way to switch up your look to go with the season, an occasion, or your mood! 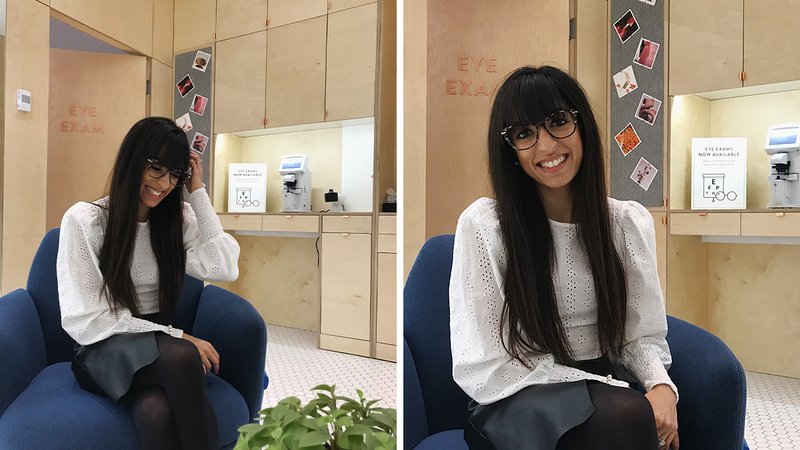 If you're a BonLook customer living in the GTA then book your eye exam with Dr. Poonam Lakhani at our Square One store here.